My name is Dr. Ghise Sorin and I am Specialist in Implanto-Prosthesis of University Complutense from Madrid, Spain, Specialist in General Dentistry and I have Attestations in Implantology, Periodontology and Lasertherapy. Get a free consultation with Dr. Ghise Sorin. How long have you been in business and how many dental implants procedures have you done? I have started to practice on my own since 2000 and I have performed more than 1000 implants. The success rate in implantology is 95-98%. Most of our patients are local Romanians or Romanian patients that work/moved abroad, but we also have a lot of foreign patients from Germany, Spain, Italy, France, UK, USA, Canada. Generally they come by recommendation or they find us on internet, being attracted by the good prices related to educational background and the latest generation devices from our dental offices: surgical lasers (ER-YAG and ND-YAG), dental microscope, etc. What procedures do you typically perform? 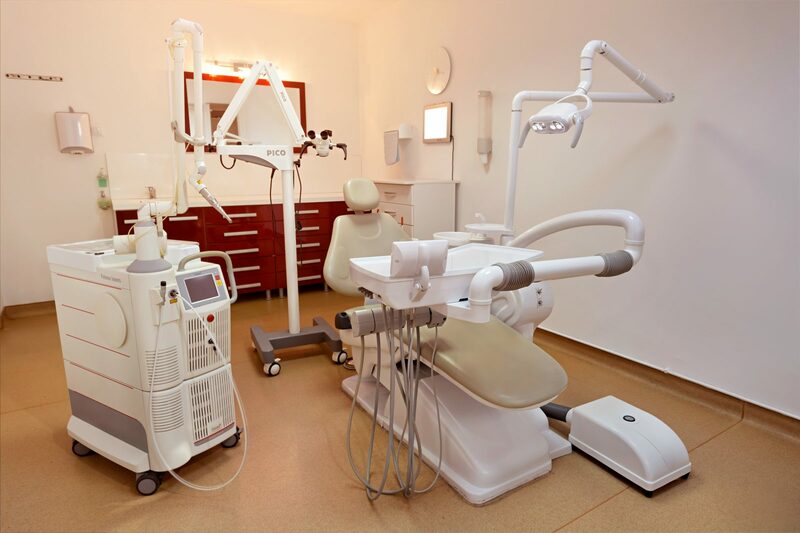 I perform a wide range of dental procedures: single implant, total implant bridges, implant overdentures, zirconia-ceramic crowns or bridges, metal-ceramic crowns or bridges, dental veneers, sinus lifting surgery, laser periodontal treatments, etc. If necessary another specialist will see the patient for other procedures like root canal treatments, orthodontic treatments, also within our dental clinic. We also have a dermatologist who performs cosmetic laser treatments like: laser hair removal, benign skin lesion removal, laser treatment of vascular lesions, etc. We use MIS implants (Medical Implant System) from Israel. They have a very good quality/cost ratio and they are available all over the world, so also in North America. The first step in getting an implant is a panoramic X-Ray, that is sufficient in most of the cases; in some cases is needed a computerised dental tomography. If possible, the patient should email us the X-Ray, if not, it can be made here in Romania. After that, we can make the dental treatment plan, which includes all the details regarding the costs and time needed to spent in Romania. The next step is the surgical intervention for inserting the implants. It follows a period of waiting for the osseointegrations of the implants: 3 or 4 months. The last step is the prosthetic step, in which the dental laboratory will make your porcelain crowns or bridges. This step may be performed also in a clinic in your country of origin; the clinic will receive all necessary information. The surgical insertion of an implant begins with a local anesthesia, so that the procedure is not at all painful. After the anesthesia, the gum is separated, the bone is drilled and the implant is inserted and covered by the gum. The sutures have to be removed in 7 days. The cost of a MIS implant in our clinic is $400 USD – this price includes the implant and the surgery. The prosthetic step (after 3-4 months) costs $275 USD- this price includes the metal abutment and the metal-ceramic crown. If the patient requires a zirconia-ceramic crown, it will be a supplementary cost of $110 USD for the zirconia abutment and a supplementary cost of $220 USD for the zirconia- ceramic crown. The cost of a metal-ceramic crown on natural teeth in our clinic is $110 USD. The cost of a zirconia-ceramic crown on natural teeth in our clinic is $220 USD. We accept Romanian Leu, US Dollars or Euro in cash. Payments over $2500 USD in one single day have to be made by bank transfer. How many trips to Romania are required? There are required two trips in Romania. In the first visit (2-3 days) the implants will be surgically inserted; during the second visit (after minimum 3-4 months) the crowns or bridges will be made (around 10 days needed). For more implants, the length of stay varies very few for both visits. The second visit may be avoided if the patient chooses to do the prosthetic step in the country of origin. After the implant surgery, a 7-10 days period is required for the gum healing. Afterwards, the sutures can be removed. For the bone healing (osseointegration of the implant), generally a 3 months period is required for the lower jaw and a 4 months period for the upper jaw; then the prosthetic step can be performed. We recommend to all our patients to visit a local dentist every 6 months, for simple checkup and prophylaxis (dental cleaning). 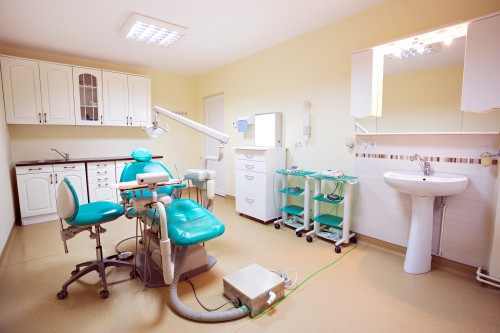 Normally, there are no reasons to appear big problems, although it might appear in some cases the loosening of the crown on implant or the inflammation of the gum around the implant; there is no reason to travel back in Romania for these kind of problems; being simple procedures, could be solved by a local dentist. We are always available to solve any problem if the patient decides to visit or contact us for any reason. The Sibiu Airport is a small but a rather modern and well communicated airport. There are direct flights from London, Munich or Vienna. Also you may fly directly to the capital Bucharest and reach Sibiu by car, by bus or by train (250km). The cost of a roundtrip from USA is about $1000. Very decent 3-4 stars hotels, close to the centre and to our clinic, start from $40-45/night including breakfast, although to the international chains like Hilton, Ramada, Golden Tulip, Continental there are bigger prices ($80-90/night). There are a lot of good restaurants in most parts of the city and the prices start from $10/ decent meal for a person. We are pleased to suggest to our patients some hotels, or they may choose any location close to the centre, that is also close to our clinic. It it safe in Romania? Romania is a safe country in general, and Sibiu, being a rather small city, is a very safe city. Does a patient need to be able to speak Romanian? It is no need for a patient to speak Romanian because all doctors from the clinic speak English; I also can speak Spanish if necessary. Sibiu is one of the most visited city in Romania, especially after it was designated the Cultural Capital of Europe in 2007. It is an old medieval city with German influences. The tourists will be enchanted by the charming squares and streets of the old part of the city, or may spend time in nature, visiting the beautiful villages around the city. There are a lot cultural events all the year round, like the International Theater Festival, International Film Festival, music festivals, etc. What is the best time of year to travel to Romania? The suggested time to visit Sibiu starts from March to October when weather is very pleasant. For those who like winter sports it is recommended to be here between November and February. Have a question or inquiry? Click the green button to get in touch with GS Clinic. Buna Ziua . Numele meu este Serban Dumitru si locuiesc in Sydney. Problema mea este am avut parade tosses si am pierdut aproape toti dintii . Tata a avut la fel si nepoata mea de 35 de ani are si ea. Ma spalam Pe dinti dimineata si seara. Pe partea de sus a maxilarului nu mai am nici to n dinte . Cit mat costa un implant cu 4 stifturi si dintii atasati de stifturi . Am 52 de ani si vreau sa fac implant .